The very word, Na’aat is Arabic, meaning ‘praise, admiration or eulogizing’. While distinguishing the Na’at from a similar Arabic word, ‘WASF’, renowned scholar, Ibn Atheer said, “Na’aat is the description of good qualities (or merits) only, unless, otherwise, someone quotes it, as an exception, in negative sense; while WASF may be used for both merits & demerits. (Ref. An-Nihaya fea Ghareeb-ul-Hadith-wal-Athr, Ibn Atheer, quoted in footnote by Dr. Riaz Majeed; Na’at-Lughwi Mafhoom, Nuqoosh Rasool Number, edited by Muhammad Tufail, vol. X, Jan. 1984). There has been a voluminous detail on other meanings, applications and derivatives of the word, Na’at. However, Ibn Atheer, besides all his great ventures in research, compilation and editing of the life history of the Holy Prophet (صلی اللہ علیہ وسلم May peace & blessings of Allah be upon him) and his companions (both male & female), and the history of early phase of Islam, had taken privilege in defining exactly, the term, Na’aat: “Na’aat is the praise of the Holy Prophet (صلی اللہ علیہ وسلم). For centuries on, the Arabic lexicographers, scholars and poets continued using, Na’aat, for eulogizing the great deeds, character, appearance and life history of the Prophet Muhammad (صلی اللہ علیہ وسلم) ; however, other terms like MAD’H, MADEEH and NASHEED had replaced the most comprehensive term in the Arabic, in later periods of time. Nowadays, Na’aat is more commonly used in other languages like Persian, Urdu and various regional languages of the Sub-continent. Keeping in view the outspread of Islam, in its early period, once might start doing research on what was the second language, soon after the Holy Prophet (صلی اللہ علیہ وسلم.) had started preaching the religion of Allah in Arabic. Well, the answer may easily be found, taking the early events, in consideration, one after another, in chronological order. Ethiopia (Habshah in Arabic), became the second home of Islam, when a number of the devoted companions of the Holy Prophet (صلی اللہ علیہ وسلم) migrated there, at the advice of the Prophet (صلی اللہ علیہ وسلم), himself. Much earlier, we may not forget the fact that Hadhrat Bilal Ibn Rabbah (رضی اللہ عنہ) was one of the pioneers in Islam, and his mother tongue was Habshi (Ethiopian/Abyssinian). So, we might well assume that his language was the next to Arabic, wherein the praise of Allah and His nobles Prophet (صلی اللہ علیہ وسلم) was made. To sum up the early history, we can say that Islam was introduced to Roman, Persian, Cyrillic, Hebrew, Qibti (Old Egyptian) and Turkish, one after another. Thus, it is apparent that the praise of Almighty Allah and the Holy Prophet (صلی اللہ علیہ وسلم), [i.e. Hamd and Na'aat, to be specific], was made, orally and in writing in these languages, by means of exchange of delegations and/or official correspondence. In Persian dictionaries, the very word has been used both in absolute literal meaning and the specific meaning, i.e. praise of the Holy Prophet (صلی اللہ علیہ وسلم) To greater surprise, some Persian poets had used the term, ‘Na’aat’, for Almighty Allah and Hadhrat Ali (رضی اللہ عنہ-May Allah be pleased with him), as well. Except one rare use of the word, Na’aat in an old MATHNAVI (long poem), ‘Qissa-e-Zaitoon-o-Muhammad Hanif’, by Ali Khan, it has always been specified to praise the Holy Prophet. The poet used it to praise the great companions of the Holy Prophet (رضوان اللہ علیہم اجمعین May Allah be pleased with all of them), rather. The reason is the refining process of the term, spanned on centuries. The basic topic of Na’aat is indeed, the praise of the Holy Prophet, Hadhrat Muhammad Mustafa, (صلی اللہ علیہ وسلم). 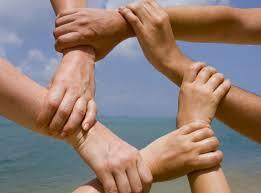 However, the poets would add up variety of personal, individual and collective issues, as and when required, i.e. from defending the Noble Soul (صلی اللہ علیہ وسلم), against the HAJV, (the poem, written to condemn someone, in any case) of the Infidels, to describing all known good deeds and characteristics of him, even of his impressive life history, feeling of ‘displacement’ after the Islamic capital moved from Madinah to Kufah, seeking the support from the Holy Prophet (صلی اللہ علیہ وسلم), against all evils and worldly calamities etc. Allah the Almighty is the pioneer of Na’aat, as we find several examples in the Holy Quran of His unique praise of His beloved Prophet (صلی اللہ علیہ وسلم). Just to refresh your memory, I must say that Na’at was in fact recorded, first, when the Almighty Hath taken oath from all the souls, even before the creation of the universe, to show their belief in the Lord, the Almighty Allah and His noblest Prophet (صلی اللہ علیہ وسلم). Secondly, the tradition continued through the Revelations, unto all Messengers and Prophets of Allah and their advices to their followers, in their times. If we start thinking over the start of Na’aat tradition, we would come to know that in prose, it was Warqah Ibn Naufil, the famous cousin of Ummul Momineen, Hadhrat Khadija (رضی اللہ عنہا), who admired the Holy Prophet (صلی اللہ علیہ وسلم), verbally, at the time of first Revelation,. Then, we know it was the great and foremost believer, Ummul Momineen, Hadhrat Khadija (رضی اللہ عنہا), to follow the tradition. The first poetic Na’aat might well have been composed by the pioneer in Islam, Hadhrat Abu Bakr Siddique, (رضی اللہ عنہ), as he was a scholarly poet, although his poetry is not so famous. There are, however, traditions of Hadith, showing him, eulogizing the Prophet (صلی اللہ علیہ وسلم), while preaching Islam. There are few names of early Na’aat-poets in Sehaba Kraam, the great companions of the Holy Prophet (رضوان اللہ علیہم اجمعین), during the Prophet’s (صلی اللہ علیہ وسلم) stay in Makkah. We may, for example, quote the name of his own cousin, a pioneer in Islam, Hadhrat Abu Ahmed Ibn Jahsh ( رضی اللہ عنہ), who was, perhaps, the first blind to have embraced Islam, as well. After the Hijrah/the Prophet’s (صلی اللہ علیہ وسلم) migration to Madinah, the tradition of Na’at- poetry had begun, under the direct supervision and guidance of the Holy Prophet (صلی اللہ علیہ وسلم), himself. The most famous and favoured among them was Hadhrat Hassaan Ibn Thaabit ( رضی اللہ عنہ), who enjoyed the full support and guidance of the Holy Prophet (صلی اللہ علیہ وسلم), more than anyone else did. Then, we have the names like Hadhrat Ka’ab Ibn Maalik, Hadhrat Abdullah Ibn Rawaha, Hadhrat Ka’ab Ibn Zuhair, Hadhrat Naabigha-tul- Ja’adi, Hadhrat Abu Sufiyaan Ibn Haaris (رضوان اللہ علیہم اجمعین ) and many more. The research on number and poetry of Na’at-poet Sehaba is still under way; there is a list of more than 150, in various books. Hadhrat Ka’ab Ibn Zuhair ( رضی اللہ عنہ) had received an honour of a personal shawl of the Holy Prophet صلی اللہ علیہ وسلم, when he presented a Qaseeda in his praise, after he was pardoned, at the juncture of embracing Islam. His Qaseedaبانت سعاد is popularly known as the Qaseeda Burdah Sharif. However, the same title became more popular with the Qaseeda, written by Imam Busairi, much later. The tradition of admiring the Holy Prophet (صلی اللہ علیہ وسلم) is now time-honoured. Besides Arab world, we also find a few poets from non-Arabic regions, including the Sub-continent, who have eulogised the life and deeds of the Noblest of all Prophets (صلی اللہ علیہ وسلم) in Arabic; some of our noted religious scholars of past have been blessed with the Na’at-writing. According to research, the foremost traces of writing Na’aat were found in the MATHNAVI, WE-O-RAAMEEN, penned by Fakhruddin As’ ad Gurgaani (1054AD/446AH). Amazingly, no regular tradition of Na’aat has been noticed in earlier periods. Just a few, brief mentions in Shahnaama (Shahnaameh to be specific in Persian pronunciation) of Firdausi and Asadi Tusi are exceptions. As’ ad Gurgaani says, the Holy Prophet (صلی اللہ علیہ وسلم) is the ‘Sun of Truth-speakers’. He has depicted the scenes of pre-Islam bravery and gallantry of the Arabs, adding that they would embrace Islam, as it was the only way to enlighten the soul. Senai, the saint-poet of the sixth century (12th century AD) made use of Arabic compositions, quotes, terms and phrases, in his Na’atiya Qasaayed, quite impressively. He came out with the most devoted mindset of a true believer in his poesy. Maulana Rumi has termed him as his leader in this type of devotional poetry. A few couplets of the leading Qaseeda-poet, Anwari (died 587AH) and Jamaluddin Esphahani (died 588AH) are true exceptions among the lot of Qaseeda-poets, known otherwise for eulogising the elite class or some other routine poetic subjects. Jamal has successfully quoted few Quranic verses regarding the Holy Prophet (صلی اللہ علیہ وسلم). Khaaqaani (died 595AH) is the greatest Qaseeda-poet, scholar of the sixth century AH, from the Azerbaijani school of poetry. For his impeccable Na’aat-poems, he has been given the title, ‘HASSAAN of AJAM ’, (Hassaan of the non-Arab world). His Na’aatiya poetry offers a lot to admire and follow to the devotees, readers/listeners, as well as, critics. Among the MATHNAVI-poets, Nizami (died 614AH) is the icon, with his five famous MATHNAVIS, ‘Khamsa’a. He was followed in writing, ‘Khamsa’a, by his noted successors, Amir Khusrau and Jami. Nizami is well known for his best use of diction, evolving new subjects and compositions, detailing and a very strong narrative. Fariduddin Attaar (died 627AH), the saint-poet is a renowned saint, famous for his MATHNAVI, ‘MANTIQUT-TAIR’, in the classics of Persian. He merges stronger in his Qasaayed and Ghazliyaat, as well. His Na’atiya poetry is the true reflection of a devotee, lost deep down in the ocean of fondness to the Noblest of all Prophets (صلی اللہ علیہ وسلم). Among the saints of the Sub-continent, Khawja Qutbuddin Bakhtiyar Kaaki is not usually considered as an established poet, yet, he proves to be a natural Na’aat-poet. Jalaluddin Rumi or the Maulana Rumi ,(died 672AH), is yet another great, saint-poet, scholar and the real trend-setter, who has blessed the Persian poetry, with his unmatched, MATHNAVI, called, ‘MATHNAVI-E-MAULAVI-E-MA’ANAVI’. It is also termed as, the ‘Quran-in-Pehlavi’. He has remembered the Holy Prophet (صلی اللہ علیہ وسلم), by various qualitative names and titles. However, the Mathnavi, itself, is not treated as the Na’aat in whole. To name a few greats of the Persian Na’at to sum up, I must quote Iraqi Hamadani, Sa’adi, Humaam Tabrizi, Amir Khusrau, Hassan Dehlvi, Khawju Kirmani, Hafez, Jami and Qudsi. A noted critic of Na’aat-writing has truly said the Urdu is blessed with the honour and distinction, among other languages, as it has been the ‘Faithful’ and the ‘Believer’ , ever since its evolution, way back in ninth century AH. (Dr. Tal’ha Rizvi: “Urdu kee Na’aatiya Shaairi’’ P. 5). Tracing the foremost model of Urdu Na’aat, one comes to know that Syed Muhammad Akbar Hussaini (son of Khawja Banda-nawaaz Gaisu Draaz), who died in 823AH was the pioneer, as far as a couplet has been found, attributed to his name. However, a detailed debate among the researchers concludes that it is Mathnavi (Masnavi) KADAM-RAO PADAM-RAO, of Fakhruddin Nizami, written between 825AH & 838AH, which appears to be the authentic example of first Urdu Na’aat. Although, it carries a blended diction of Sanskrit & Prakrit, the ancient form of Indian language of that era. Then comes the series of followers like Syed Burhanuddin Qutb-e-Alam, Sadruddin, Shah MeeraNjee Shams-ul-Ushaaq, Sheikh Bahauddin Baajan, Kabeer Das, Shah Ashraf Bayaabaani, Qazi Mehmood Daryaai, Shah Ali Muhammad Geogaamdhani, Shah Burhanuddin Jaanum and Khoob Muhammad Chishti Gujarati in the era of 9th to 11th century, AH. Almost all of them were saints who used poetry as their tool for preaching Islam and spiritualism. The Mathnavi Khoob Terang of Khoob Muhammad Chishti Gujarati, written in 986AH is the first prominent example of Arabic-Persian lingual effects on the then Hindi (ancient Urdu). The tradition of writing Na’aat started in the 11th Century AH, as the pioneer Urdu SAHEB-E-DIVAN (Poet with an anthology), Sultan Muhammad Quli Qutb Shah established it as a regular genre of devotional poetry. He wrote Na’aat in the forms of Ghazal, Nazm (verse) and Rubaai. Some of the poets of that era had chosen Doha for writing Na’aat. Similarly, a tradition of writing Na’aat in the form of Mathnavi carried on, during the same century. Besides, several poets penned the Seerah/life history of the Holy Prophet, Muhammad (صلی اللہ علیہ وسلم). They used the terms, Noor-Naama, Maulood-Naama, Wafaat-Naama and Me’raj-Naama. Shah Hashim Hassani had chosen the form of ‘Jakri’, for writing Na’aat, an outdated one in today’s poetry. The 12th Century AH dawned with the swift promotion and progress of Urdu Ghazal, as Wali of Deccan, (originally from Ahmedabad, Gujarat), made a fortune in this form of poetry and cast a strong shadow on the contemporaries. Basically a saint, Wali had used Ghazal, Qaseeda, Rubaai, Mukhammas and Mustazaad for writing Na’aat. In the same period, Qazi Mehmood Behri and Syed Muhammad Fraaqi Baijapuri also made some good name in writing Na’aat. When the Mughals were facing decline, the poets would submit their oppressive condition, seeking support from the soul of the Holy Prophet, Muhammad (صلی اللہ علیہ وسلم). There were no famous poets doing it, exclusively, yet, it was a common practice. Then, we see the great Urdu maestro, Sauda coming forward with Natiya Qaseeda that set example for the contemporaries and the followers. However, greats like Mir did not practice Na’aat-writing as their favourite pastime. In the mean time, we also notice the Na’atiya Musaddas of Mir, Mathnavi Silk-e-Noor of Maulvi Muhammad Ismail Dehlvi, few models of Natiya Qaseeda and Mathnavi by Momin and above all, Shaheedi. The later was freedom-fighter, earned fame in devotional poetry. In one of his Natiya Qaseeda, he prayed that he might die, in front of the mausoleum of the Holy Prophet, Muhammad (صلی اللہ علیہ وسلم). Allah fulfilled his earnest desire and he died, as soon as he reached near the mausoleum. The successors like Ameer Meenaai and Mohsin Kakorvi had tried to say Qaseeda, on the same patron, used by Shaheedi. Momin had also done some good Tazmeen (to write poetry on the patron of someone else’ famous poem) on it. Great poet, Ghalib restrained from composing Na’aat on regular basis; however, he just wrote a few Na’aatiya couplets, only. Similarly, masters of another genre, Marthia, (Marsia), Anees and Dabeer had also included some Na’aat-element in their poetry. Na’aat has taken its roots as a popular, separate genre in the 13th Century AH, when, Maulana Kifayat Ali Kaafi, Maulana Ghulam Imam Shaheed, Hafez Lutf Ali Khan Lutf Barelvi and many poets, from Deccan, relatively less famous, had contributed their best efforts towards making it a genuine and popular form of devotional poetry. Maulana Kifayat Ali Kaafi was an elder religious scholar of Muradabad, India. He dedicated his entire poetry to the praise of the Holy Prophet, Muhammad (صلی اللہ علیہ وسلم). Besides his anthology, ‘Divan-e-Kaafi’, other books, too, were either containing Na’at, or, translation of Hadith and some pertaining to the grammar & composition of Arabic. He was martyred after one year of the War of Freedom, in 1858. Maulana Ghulam Imam Shaheed also spent all his energy for the promotion of Na’aat. He had also enhanced the standard of Na’aatiya poetry in Persian. He was the one to open the door for the innovative experiments in Urdu Na’aat. Besides other books, his ‘Maulood Sharif’ earned great name to him, in the devotional poetry. He wrote Na’aat in all prevailing forms. Hafez Lutf Ali Khan Lutf Barelvi is the man who devoted all his Ghazal-poetry to promote Na’aat. He is the foremost Urdu poet, earned popularity, through Na’aatiya poetry, only. His anthology was published several times, in his life and afterwards. He depicted the noble body of the Holy Prophet (صلی اللہ علیہ وسلم), besides praising his good-self and seeking for his help in resolving the issues. Several ‘Radeef’ (last and compulsory tag of a couplet in Ghazal) of his Na’aatiya poesy became very popular and pursued by others, while trying to write Tazmeen. The later poets of Na’aat including Mufti Ghulam Sarwar Lahori, Mir Azam Ali Shaaique Hyderabadi, Ghulam Mustafa Ishqi Deccani, Syed Wajid Ali Waheed Haswi, Maulvi Muhammad Hussain Tamanna Muradabadi, Syed Muhammad Murtaza Bayan-o-Yazdaani, Sufi Muhammad Akbar Warsi, Ameer Meenaai, Sufi Baydum Shah Warsi, Mohsin Kakorvi and Ala-Hadhrat Ahmed Raza Khan Barelvi had tried to improvise and/or express the devotional feelings better. Everyone had his own importance, as forerunners in Na’at-poetry. Sufi Muhammad Akbar Warsi was yet another saint-poet of his own kind. His most famous Salam, ‘Ya Nabi Salam Alaik’ still echoes in the religious gatherings. However, this era is more often considered as the era of Ameer Meenaai, Mohsin Kakorvi and Ala-Hadhrat Ahmed Raza Khan Barelvi. Ameer Meenaai (d. 1900CE/1318AH) belonged to a religious family, with an especial link with the saint school of thought, Chishtiya-Saabiriya. Before emerging as a Na’aat-poet, he earned laurels in the field of Ghazal, much before the advent of the Freedom War of 1857. Then, he left Lucknow to settle down in Kakori, wherein he met with the famous Na’aat-poet, Mohsin Kakorvi. While narrating his endless love for the noble soul of Holy Prophet, Muhammad (صلی اللہ علیہ وسلم), he would keep in mind that nothing beyond Shariyah should take place in his poetry. Mohsin Kakorvi (d. 1322AH) was right from childhood a religious man. He was blessed with the noble sight of the Holy Prophet (صلی اللہ علیہ وسلم), in dream, when he was only nine. Then, he composed a Na’aatiya poem in Persian. His Urdu Na’aatiya poetry began with the Qaseeda, ‘Guldast-e-Kalaam-e-Rahmat’, at the age of 16. The most famous of his Na’aatiya poetry, Qaseeda-e-Laamiya was completed in 1293AH. 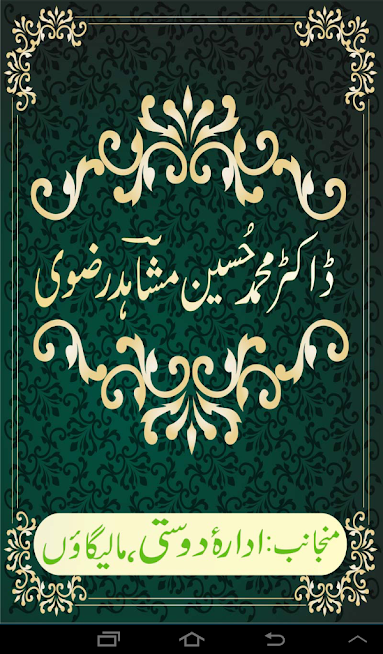 This unique Qaseeda contains metaphors from the lands of Mathra, Kashi, Punjab and Bengal, contrary to all previous Na’aatiya poetry, wherein only Arabic ones were used to bear a resemblance with the great personage, character, lifetime and surroundings of the Holy Prophet (صلی اللہ علیہ وسلم). His style won him fame, and at the same time, criticism. For that, Ameer Meenaai had to come forward to defend him, saying the most famous Qaseeda بانت سعاد of Hadhrat Ka’ab Ibn Zuhair (( رضی اللہ عنہ) began with the metaphor that was not Islamic, in fact. Upon listening, the Holy Prophet (صلی اللہ علیہ وسلم) awarded him with honour of a personal shawl. Thus the Qaseeda got fame with another name, Qaseeda Burdah Sharif. Ala-Hadhrat Ahmed Raza Khan Barelvi (d. 1340AH/1921CE) is the legend in Urdu Na’aat. He alone stands as the popular school of thought in Na’aat-writing. Being a genius scholar and expert of various sciences & arts, he took advantage of his knowledge, while composing the Na’aat, besides all devotion, dedication and modest attitude. He had truly claimed to learn the Na’aat-writing, through Holy Quran. His entire poetry (in all forms) consists of Na’aat only. Besides other Na’aatiya poetry, his Salam, ‘Mustafa Jaan-e-Rahmat pe LaakhouN salam’ earned him the height of fame and popularity. Amazingly, his younger brother, Maulana Hassan Raza Barelvi excelled in Ghazal-poetry, too, besides Na’aat. He was a disciple of Ala-Hadhrat in Na’aat, while he used to get advice on his Ghazal, from the famous maestro, Dagh Dehlvi. Hasrat Mohani declared him a maestro, in himself. Here, we must not forget the chain of non-Muslim Na’at poets. There has been a tradition of Na’at-writing among Hindu, Sikh, Christian and other non-Muslim poets. In early Na’at-poets, we can take example of Maharaja Sir Kishan Prasad Shaad of Hyderabad, Deccan. There still a good number of such poets, contributing Na’at, with great zeal and fervour. Anthologies and selections have been compiled, separately to cover them, till date. Then, the fast changing socio-political scenario of the Sub-continent had compelled the poets to not only refine, but, revolutionize the contents and style. There, masters like Hasrat Mohani, Haali, Shibli, Shaad Azeemabadi, Nazm Tabatabai, Zafar Ali Khan and Allama Sir Sheikh Muhammad Iqbal made their best to change the entire scene of Na’at-poetry. Musaddas-e-Maddo-Jazar-e-Islam by Haali had turned a new leaf in Urdu Na’atiya poetry. In this era, the grievances of Ummah and all current topics were added to the Na’atiya poetry, especially and Urdu poetry, in general. The modern Urdu Na’at is very rich, with a great number of anthologies, including those which also contain other forms/genres of poetry, in general. It’s difficult to mention every single name, here; however, an attempt could be made to include as many as possible. If we start from the time period of the Partition and Freedom of Indian Sub-continent, and decades to follow, we find names like Iqbal Sohail Azam-gadhi, Seemab Akbarabadi, Amjad Hyderabadi, Hameed Siddiqui, Ziaul Qadri, Shakeel Badayuni, Behzad Lakhnawi, Maahirul Qadri, Hafeez Jalandhri, Akhtar Sheerani, Shorish Kashmiri, Moeeni Ajmeri, Meem-Hassan Latifi, Ehsaan Daanish, Ahmed Nadeem Qasmi, Anjum Rumani, Iqbal Azeem, Hafez Mazharuddin, Yousuf Zafar, Abdul Aziz Khalid, Naim Siddiqui, Jaffar Tahir, Abdul Aziz Fitrat, Hafez Ludhiyanvi, Serv Saharanpuri, Nazeer Ludhiyanwi, Kausar Niyazi, Abdus Sattar Khan Niyazi, Ada Jaffri, Munawar Badayuni, Sikandar Lakhnawi, Ra’ana Akbarabadi, Saaghir Siddiqui, Akhtarul Haamidi, Qamar Meeruthi, Aasi Kernali, Saaim Chishti, Muzaffar Warsi, Masroor Kaifi, Hafeez Taaib, Adeeb Raipuri and Sabeeh Rahmani have marvelled in this particular type of devotional poetry. • Usd-ul-Ghaaba Fea Ma’arfatus-Sehaba by Ibn Atheer, translated by various scholars (various volumes-In fact, I’ve done counter research on all 13 volumes, much earlier).